On Saturday we took a trip to the beach. The girls were so excited and couldn’t wait to get there. 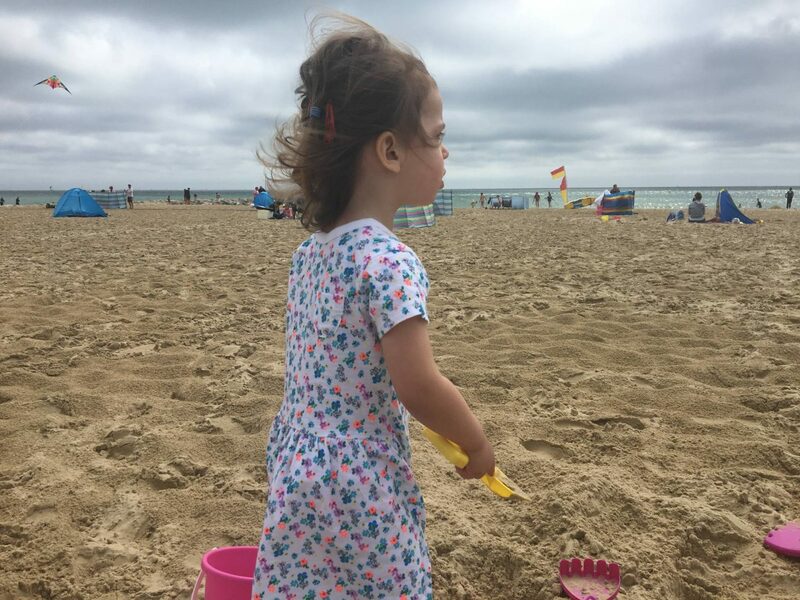 Holly spent the whole time building sandcastles and Alice was running into the sea and out again, as it was so cold. I don’t think her sunsuit had a drop of water on it! Eek, Libby always sets off up to the top of things like that with my husband standing at the bottom shouting because he’s scared of heights and can’t stand her being up there! It sounds like a child’s perfect day out. It looks like you had a lovely day, even if the weather wasn’t the best. 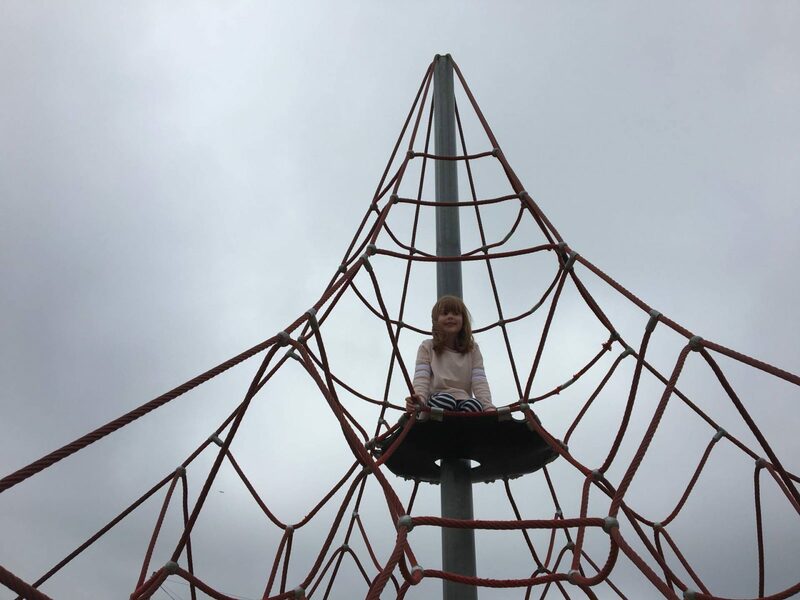 We’ve got one of those witches hats at our local park but Toby’s been too scared to climb it so far – Alice has every right to be proud of herself!